Everyone knows - difficult morning after a good party. Not sure what to do after getting drunk? 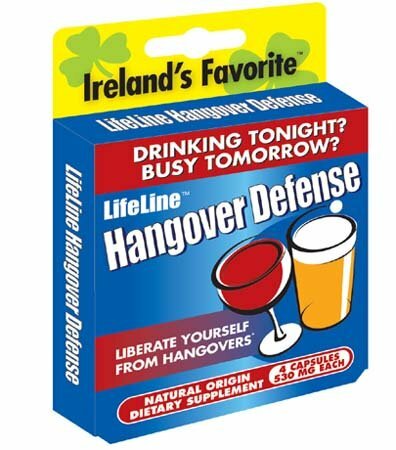 Here is the preparation Lifeline - defense against to hangover. 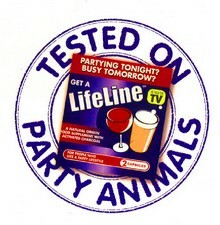 The end of the painful mornings, now you can make a party without any worries. Lifeline is je unique product, not available in Slovakia untill now. It is unique by its composition and effects. 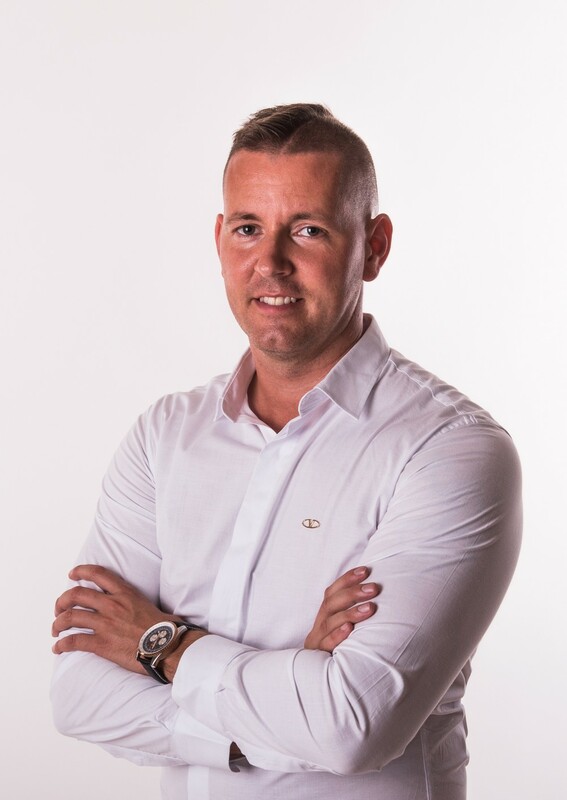 Read more how it works and why it belongs to the 20 best sold products in Ireland. Has been carefully prepared to provide the maximum effect in one dose. 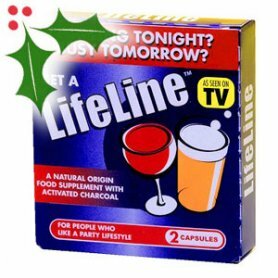 Simply take two capsule of Lifeline in the evening when you start to drink alcohol - that's all. 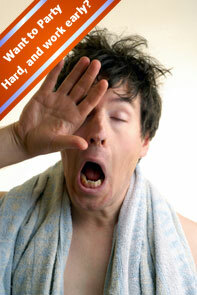 You don´t have to remember that you must take a pills after each second glass, or to take something before sleep. Lifeline tablets contain only the best natural ingredients, each carefully selected for its proven efficiency and efficiency - was developed as a safe natural product. It contains a mixture of activated charcoal (charcoal), then Aquamin and vitamins B and C. It's very easy to take the product. Really just take two pills during your early evening drinking and then just enjoy the night. 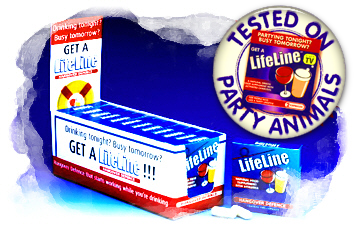 But do not worry - Lifeline doesn´t destroy the alcohol effect, so you can really enjoy the night and without morning consequences. Why is this the best anti-hangover product on the market? 1. You have to tak just one dose during first hour of drinking.Competing preparations demand taking of pills after a few drinks or before sleep. Who shall remember it? 2. Also, Lifeline components absorb substances of alcohol left in the body and cause the toxicity, but Lifeline even ensures vitamins for next day to get you up on your feet. 3. By the independent laboratory research was proven, that Lifene is really the most effective anti-hangover product on the market. 4. 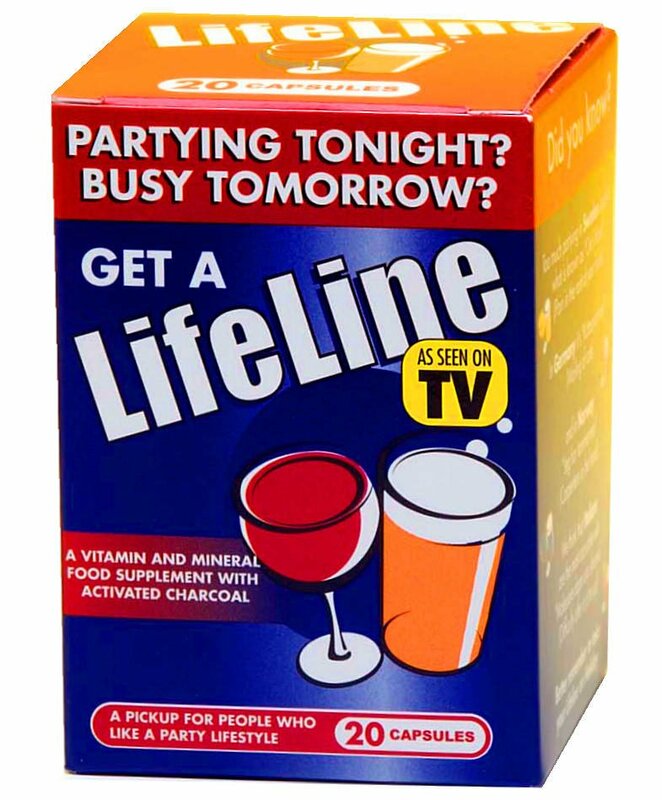 Lifeline belong to the 20 best sold product in Irelandami v Írsku. Goes on sale with 44%, through the personal references and 90% of consumers said, they will use this product again. Active carbon has been used at hospitals for years. The effectivity has been proven regarding to absorption of toxins and contaminations found in alcohol drinks. Lifeline capsules contain the highest grade of vegetable carbon currently available. Competing brands tend to use cheaper carbon and is often pushed into the small pills, and as the result is reduction of its ability to absorb. Aquamin is the unique Irish component, located in the waters of the Atlantic Ocean, close to the pure and beautiful coastline in the west of Ireland. Aquamin is patented for its quality! It is a mixture of soluble calcium carbonate and magnesium carbonate and other marine minerals. Tfe research has shown that a combination of calcium and magnesium carbonates together with activated charcoal, further enhance the ability of carbon to absorb toxins and ingredients. Aquamin is considerably more expensive than ordinary rock chalk - which is a component of almost all competing products. And it is much better at doing of its job. Vitamins B and C - Alcohol depletes the nutrition from the body. In particular, vitamin B, which takes care of the maintenance of the nervous system and also helps to relaxation, and vitamin C, is an important antioxidant that helps protect cells from damage. In January 2005, Lifeline H.D. Limited delegated The Eastern Analytical Laboratory Inc. (Connecticut USA) to lead a study to compare the absorption and neutralizing of the acidity of different products that are sold as prevention against to hangover. The acidity neutralization is the ability of product to neutralize stomach acid. The absorption is ability of the product to absorb toxins and substances coming from alcoholic drinks.